Al-Qaeda is an international terrorist group and its considered the top terrorist threat to Amercia. There isn’t just one single headquarters, from 1991 to 1996 they worked out of Pakistan along the African border or inside Pakistani cities. Al Qaeda actually grew out of the services office a clearinghouse for the international Muslim brigade. Then in the 1980’s the service office (run by Osama bin laden at the time) recruited trained and financed thousands of foreign mujahadeen or holy warriors as they call it from more than fifty countries. 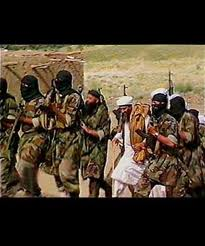 Bin laden wanted these guys to continue the “holy war” outside of Afghanistan thus Al-Qaeda was born around 1988. When Al-Qaeda plans an attack it can usually take months or even years of planning. Many of the members give their lives to serve the group there are many examples. such as the attempted December 2009 bombing of a Detroit-bound Northwest Airlines The July 2005 bombings of the London trains, the September 11, 2001 attacks on the world trade center,the October 2000 U.S.S Cole bombing,the August 1998 bombings of the U.S embassies in Nairobi,Kenya,and Dar es Salaam,Tanzania are all examples of the damage Al-Qaeda has caused. Al-Qaeda uses terrorism as a form of defiance. They want show the united states what they can do if we “disrespect” their homeland. Members of the group will fight for their homeland until the death. Al-Qaeda wants to continue the “great war” against us and they will do anything to keep it going, even if it means killing their own families. Americans have fought back by showing defiance and intelligence. Our military has been fighting the terrorist group for years, and they will continue to fight for many more. Al-Qaeda is currently still enlisting people but they have taken hard hit. Now that three of their best leaders, including Osama Bin Laden, are dead Al-Qaeda is feeling down, but they are by no means out. Al-Qaeda will continue to battle until they win, or there isn't any of them left to keep fighting.